The University of the Free State’s women’s hockey team will count on their home fans to give them the edge when they play host to the dangerous NWU-Pukke, the University of Pretoria (Tuks) and the University of the Witwatersrand (Wits) on the second weekend of Varsity Hockey action. After a two week break the Varsity series, which is sponsored by First National Bank (FNB) and Mugg & Bean, recommences on Saturday. Matches will be played at the astro fields of UFS and the University of Johannesburg, with UJ hosting the University of Stellenbosch (Maties), the Nelson Mandela Metropolitan University (NMMU) and the University of Cape Town (UCT). NWU-Pukke, who hosted the first weekend’s action at their home field in Potchefstroom, is the current leader on the log with 14 points, after winning all three their first matches. They will however face a much greater challenge this weekend, as two of their opponents – Tuks and Kovsies – share second place with 10 log points each. Maties, who is in fourth place with six points, can also make inroads at the UJ fields. On paper the Stellenbosch team is the strongest of the four in Johannesburg. To add to their confidence, Maties was well represented in the Western Province under-21 team which won top honours at the national under-21 tournament in Durban last week. Quanita Bobbs, who has already scored twice in the Varsity Hockey series, was a standout in the Province side. Pukke will also still carry confidence from the under-21 tournament. Many of the Potchefstroom girls were in the North-West under-21 team which finished second. Another bonus for the current log leaders is the availability of their Protea stars, Sulette Damons and Celia Evans. The national players were originally not going to form part of their universities’ plans, but the decision to push a Protea training camp on China back to next week, have put them back in the mix. “The majority of our team are in that North West side and they came second, so that should give us a bit of confidence. Hopefully they’ve all recovered in time,” Evans told varsitysportssa. Evans scored four goals during the first weekend to be joint top-scorer with the Kovsie Izelle Lategan, while Damons has three goals to her credit. With this duo at the front the Pukke scored twelve goals in their first three matches. Kovsies bothered the scorers ten times in Potchefstroom, thanks largely to Lategan, the national under-21 captain. She will surely deliver fireworks again in front of her home crowd. Kovsies’ first challenge is on Saturday against Tuks, who is one of only two unbeaten teams left in the competition. The Pretoria side won twice and drew their third game in Potchefstroom. Tuks captain Kara Stella told varsitysportssa her team was happy with the weekend in Potchefstroom, but knows the three days in Bloemfontein could make or break their onslaught on the title. “We haven’t lost yet which I suppose is a good sign going forward, but we have some tough matches coming up so we will need to play better,” she said. Advent Sport Entertainment and Media (ASEM) was founded by Francois Pienaar in October 2009 and has offices in Cape Town and Johannesburg. 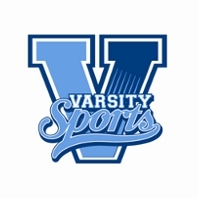 ASEM Varsity Sports is a wholly owned subsidiary of Advent Sport Entertainment and Media and the exclusive service provider to the University Sports Company (USC) and its participating universities. ASEM Varsity Sports provides a unique opportunity to connect with the Collegiate community in South Africa through sport and entertainment. The USC’s main objective is the administration, development, co-ordination and promotion of non-professional sport between the higher education institutions in South Africa. The organisation plays a vital role in connecting operational students, active students and alumni. Sport remains one of the most powerful marketing platforms. In South Africa sport has been a catalyst for change and nation building in our young democracy.